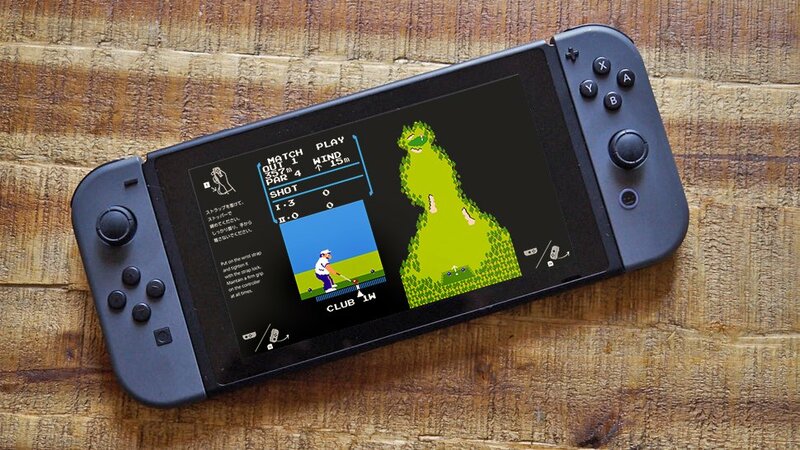 Only about two months ago, dedicated data miners dove into the Nintendo Switch console's firmware code and discovered the existence of an NES emulator called "flog." 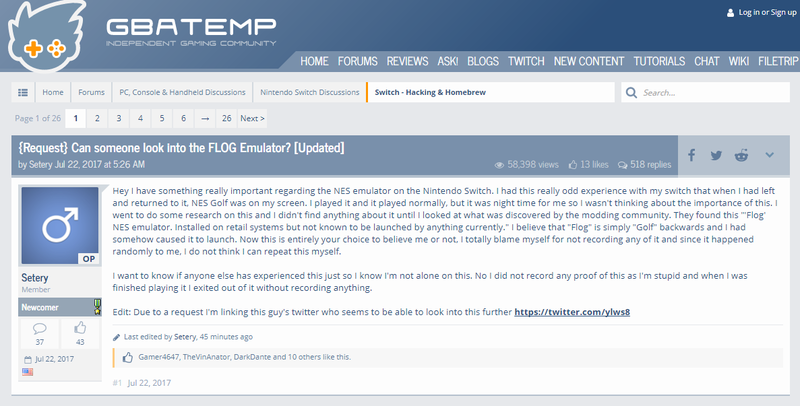 Just yesterday, we reported that "flog" is actually an emulator wrapped around the NES classic title Golf, though no one was quite sure how to access it from within the Switch's interface. Today, however, it appears the unlock procedure has been revealed, with one particular step in the process playing clear homage to former Nintendo president Satoru Iwata. For a long time, the origins of the unlock procedure for the emulated version of Golf installed on Nintendo Switch systems remained unclear; in fact, existence of the game was essentially altogether unknown until GBATemp user Setery happened upon it seemingly out of the blue. In the user's initial post, Setery described the game as having been launched on his Switch while away from the console, and this was only shortly after the first bits of code referencing the "flog" emulator were found in the Switch's firmware. After many questions had been raised and subsequently answered to the best of their abilities, Setery and a number of other Switch owners began diving into possible launch conditions for the game. And, after having dug further into the Switch's code, it turns out that one of the key steps in getting Golf to launch requires setting the date on a Switch system to July 11, the date that previous Nintendo president Satoru Iwata passed away. This method only works in specific situations, however: the Switch console in question must never have connected to the internet nor downloaded any patches; if it has, the process won't work. Assuming that the internet condition had been fulfilled and the date has been changed, data miners discovered that launching Golf meant executing a number of specific movements with the Joy-Con. Details were initially unclear; since the game in question involved golf, many thought that using golf swing-like motions would launch the title. Others believed that the motion might be a bow, such as the one often performed by Iwata during his Nintendo Direct presentations. Now, thanks to a video posted by YouTube user fire3element (featured below), we now know what unlocking Golf takes: a series of motions with Joy-Cons held in a very specific form being swung from waist height to chest height, then extended out to arms length. 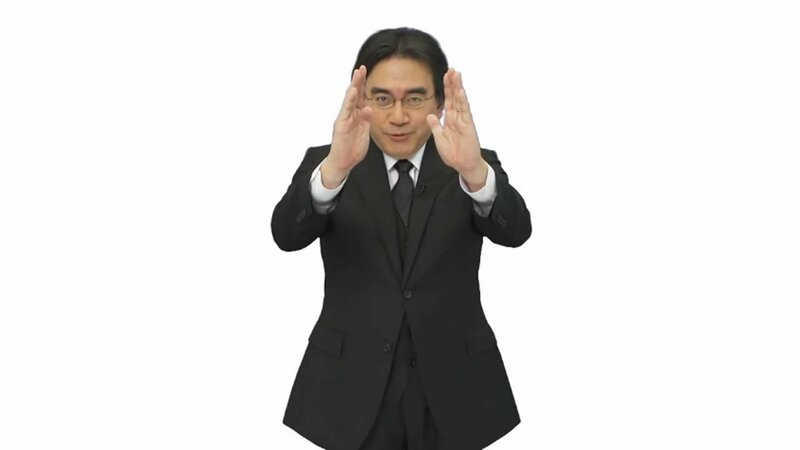 Though exact points of the motion aren't entirely clear, some believe that the movement is meant to mimick Iwata's "directly to you" motion that can be seen in a number of Nintendo presentations as well as the image featured above. It's totally understandable for Nintendo Switch owners to have difficulty in understanding this highly-specific launch procedure, and chances are good that most Switch owners will be unable to launch Golf, as they've likely previously connected their device to the internet in order to play games online. Fortunately, fire3element's video provides our most detailed glimpse of the procedure and the game yet seen, and Switch owners who would have to miss out on the easter egg can learn all they need to know about Golf by watching the video below. While Golf might not be the most exciting game to land on the Switch, and even though Nintendo won't admit that the game is a nod toward future inclusion of Virtual Console-like support, it's still good knowing that the Golf easter egg was provided as a tribute to the late Satoru Iwata. Iwata's vision for the company spoke to the gamer in all of us, and we like to think he'd be proud of how the Switch turned out. Keep on top of the latest Switch gaming experiences by checking out some of the great titles we've featured on our list of the Best Nintendo Switch Games.